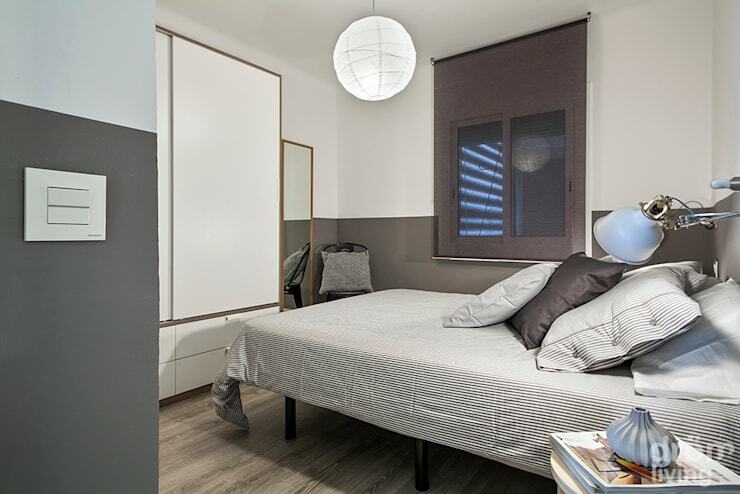 7 apartments under 80sqm you'll want to copy today! Decorating the house can be easy and fun, especially if you love to follow new trends or are looking for an original look and feel. But when space is limited, finding suitable furniture can be tricky. 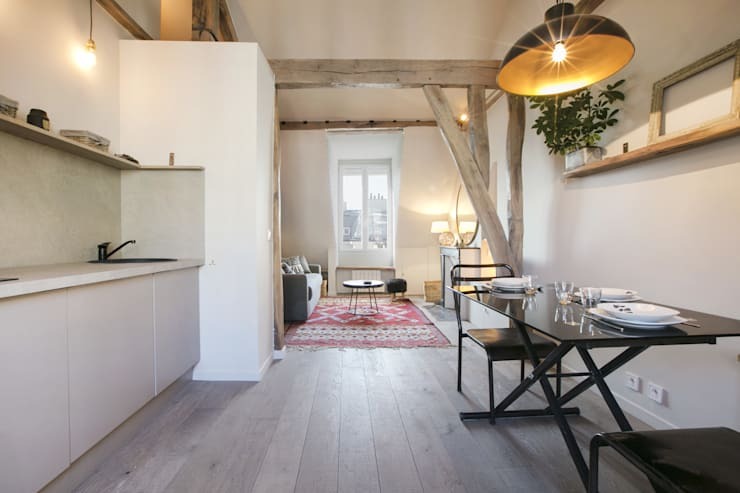 However, there is a way to match functionality with style so that you can transform a studio, apartment or small home. 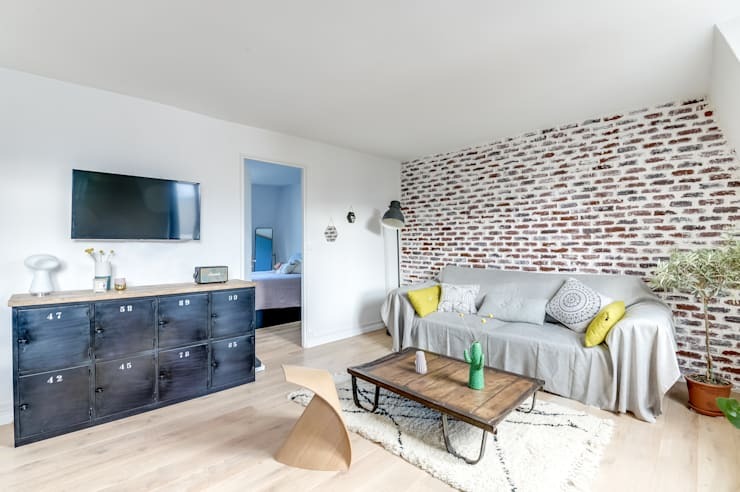 In fact today at homify, we are going to get inspired by the suggestions of our expert professionals and examine 7 fully furnished apartments that are less than 80 square metres. 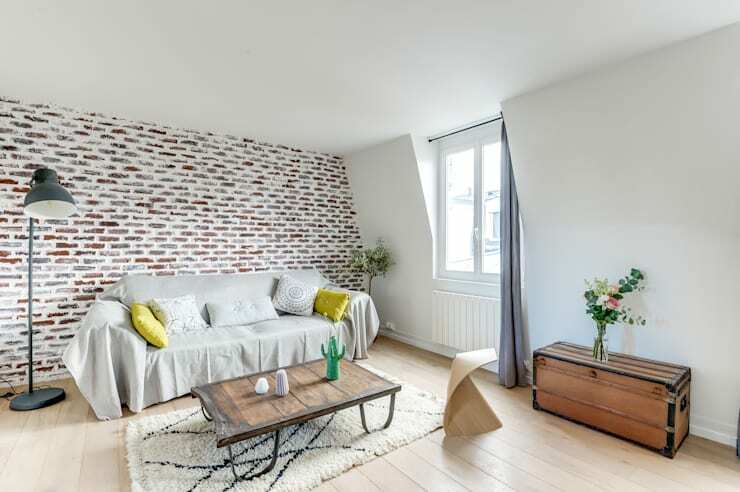 You'll want to copy these fascinating and innovative ideas to create your own stylish home! 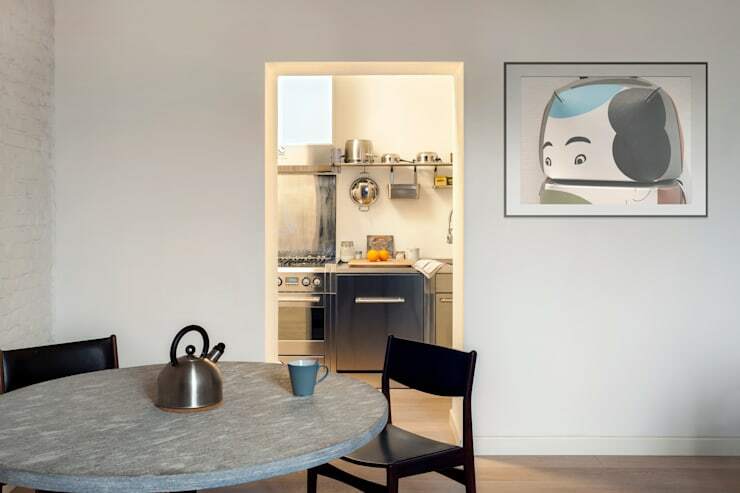 Designer furniture, works of art and high-quality walnut cladding make up this little 70 square metre elegant apartment. It features a refined mix of classic and contemporary style, packing quite a punch. To copy: the combination of black leather armchairs with the 70s design and modern sofa fabric. 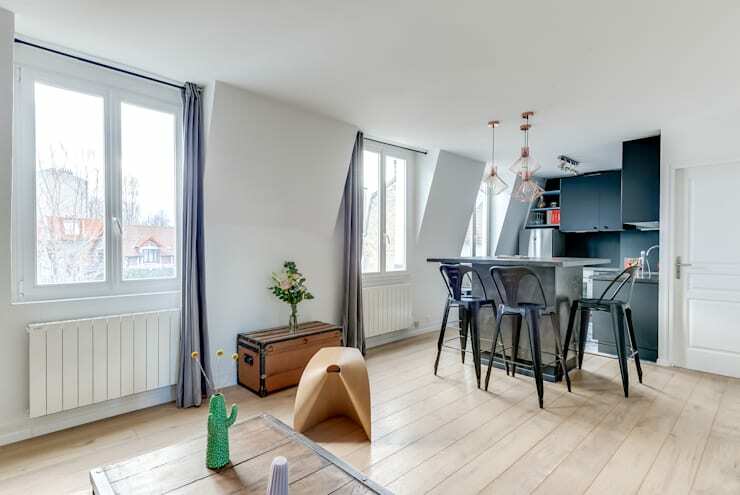 In only 75 square metres, interior designers HBstudio have managed to create a very functional and cosy apartment. This perfectly meets the needs of a young family with a child. 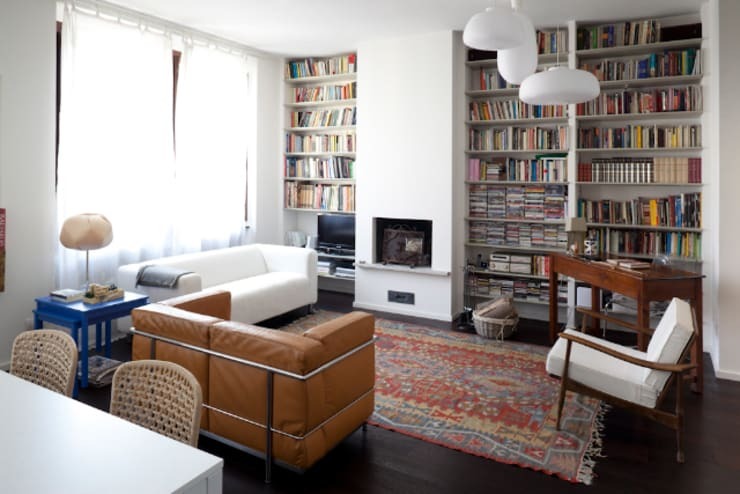 What is particularly interesting in this space is the large library that extends across the entire wall of the living room, divided into two symmetrical parts on each side of the chimney wall. Something to copy in this space is the juxtaposition of styles. In the small child's bathroom, a simple white sleeper couch has been paired with colourful cushions. 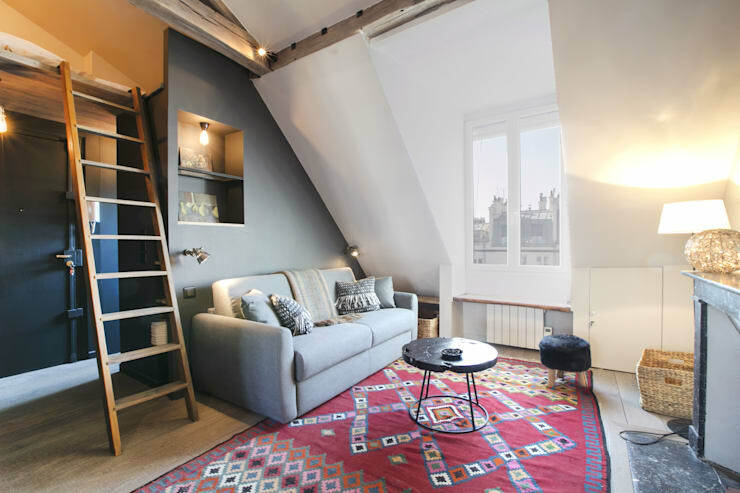 This is a really fascinating little home, which overlooks the rooftops of Paris. 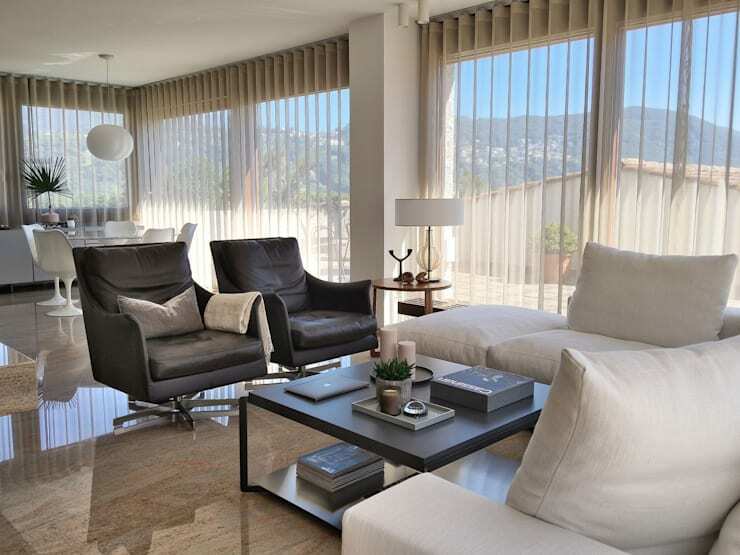 To make the absolute most of a few square metres, the designers developed the home lengthwise. 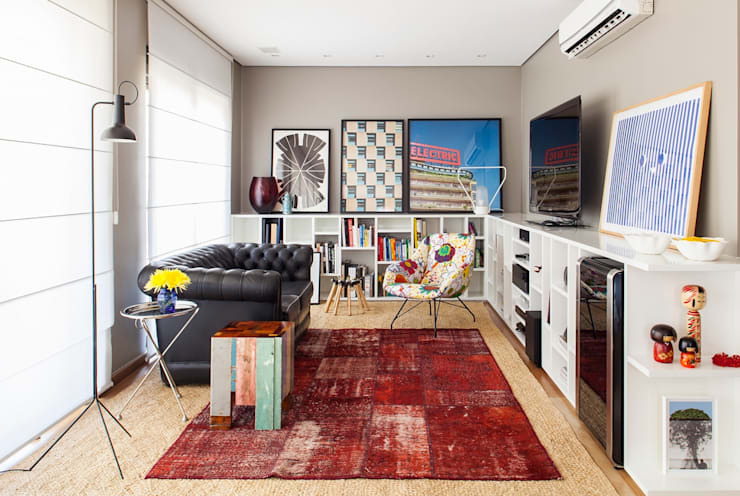 The mini-living-room is furnished with a few simple elements such as a two-seater sofar and a precious rug in shades of red. Given the small size of the home, the shelves and cabinets have been installed in the niche carved into the wall. For the kitchen area, neutral tones have been chosen so as to not overwhelm the space. The little grey wall and the black furniture makes for a very gorgeous home. 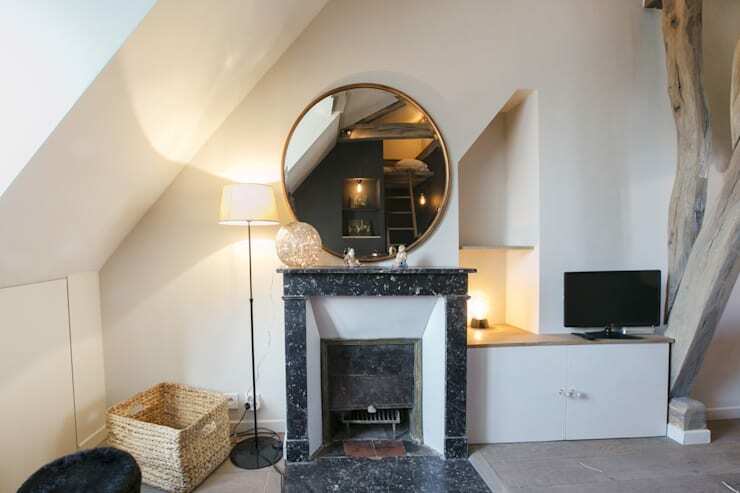 This romantic Paris studio also features an elegant fireplaces in a neo-classical style of dark marble, complemented and enhanced by the large circular mirror. 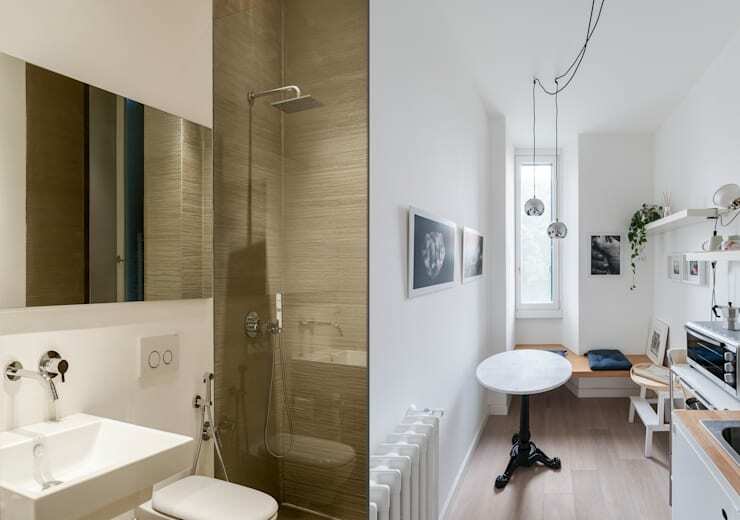 The mirror is perfect for multiplying the light in the space as well as amplifying the perception of space. Just look at this cheerful one-bedroom apartment that makes us feel like we are in the middle of Brazil! 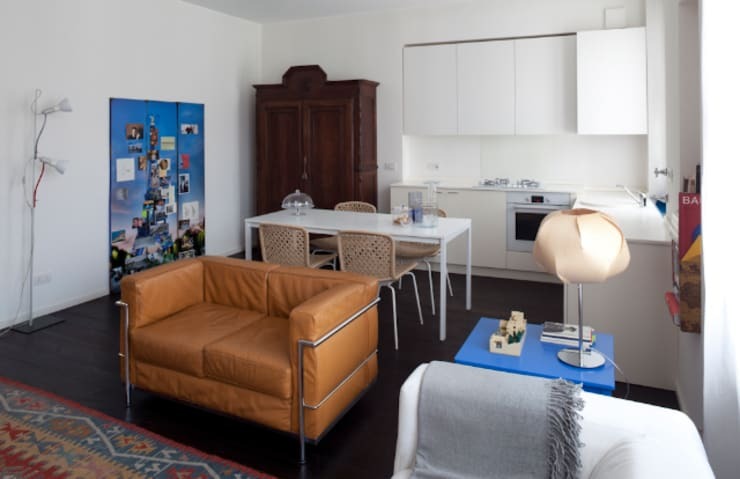 Every detail of this charming apartment is characterized by bright colours and sharp lines. The electric blue of the furniture works in harmony with the vibrant red of the living room carpet. 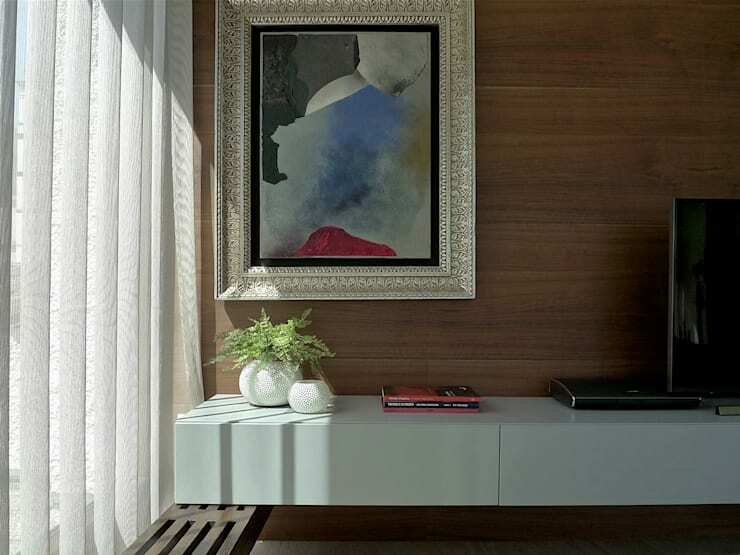 The paintings, ornaments and floral decorations add to the beautiful interior design. The amazing thing about this apartment is that despite everything being bold and colourful, the end result is extremely elegant, refined and sophisticated. The bedroom seems to come from a whole new house! 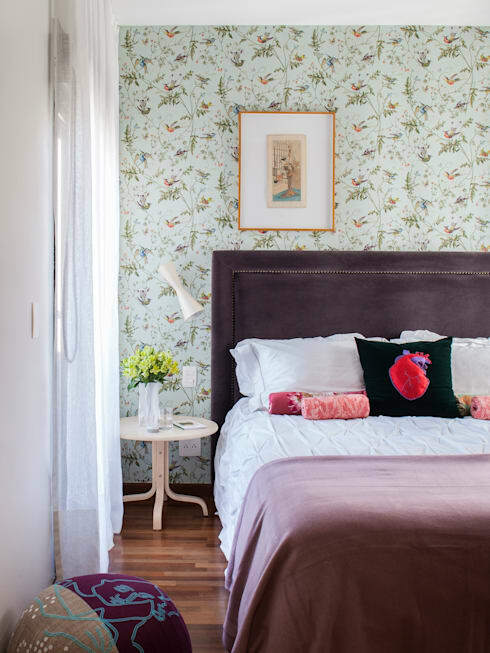 Here the room is dominated by soft colours and delicate patterns, creating an intimate and romantic room. This is perfect for relaxation and rejuvenation. 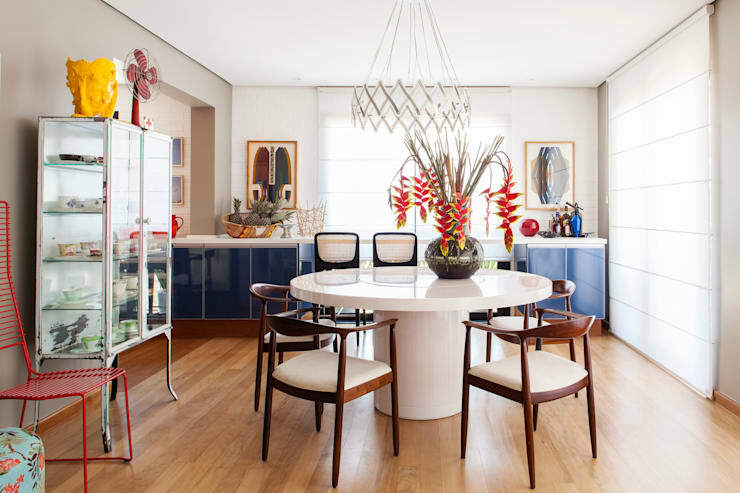 In this refined 75 square metre Milan apartment, we can see how a circular table in the dining room brings a touch of charm to the space while the discreet hanging lamps show how every element counts. To copy: The bench below the small angled window. 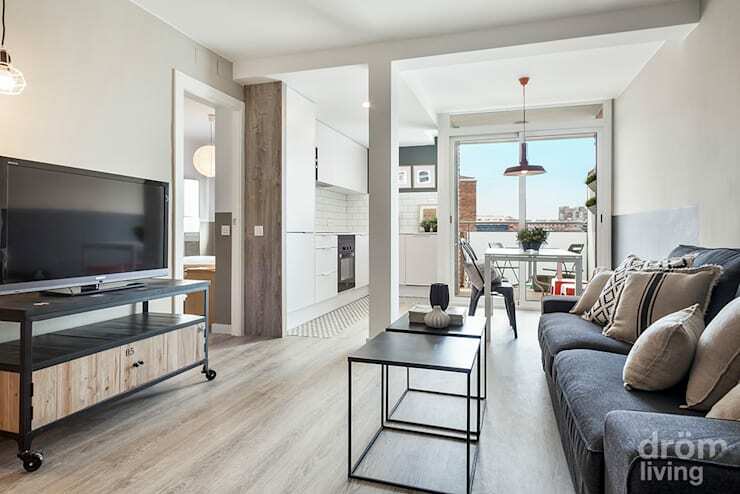 This little industrial chic apartment is only 60 square metres in size and features contemporary decor that cleverly mixes modern design elements such as the small stool in light wood and the anthracite cabinet. 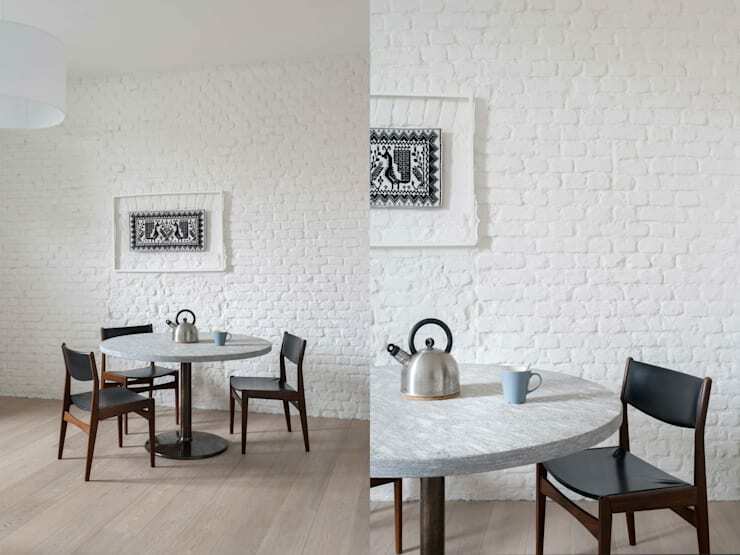 To copy: A raw brick wall for a refreshing (and budget-friendly) design. The kid's room is dominated by white tones, giving the impression that there is more space. There is also a strategic use of niches, which replaces cabinets or shelves. This takes up much less space while providing plenty of storage. Have a look at these other amazing ideas for kids' bedrooms. 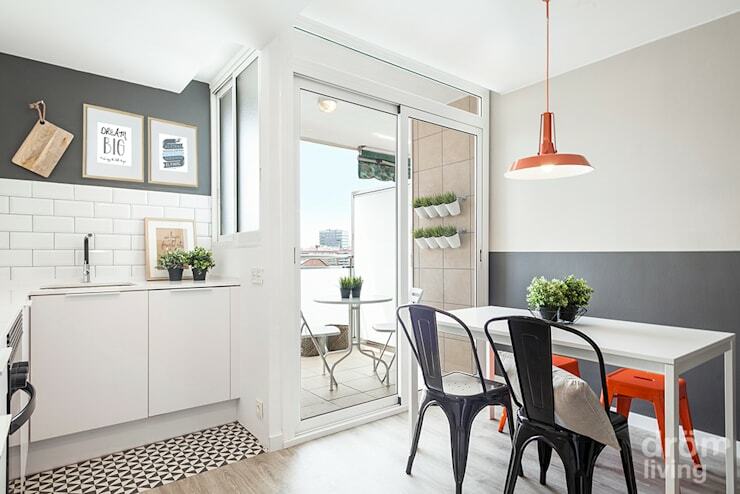 Light is the protagonist of this cheerful 60 square metre apartment in Barcelona, Spain. Light floods the kitchen thanks to the large glass windows, while the open plan design enhances the light that flows through the modern home. You'll also notice only the most essential of furniture is used. 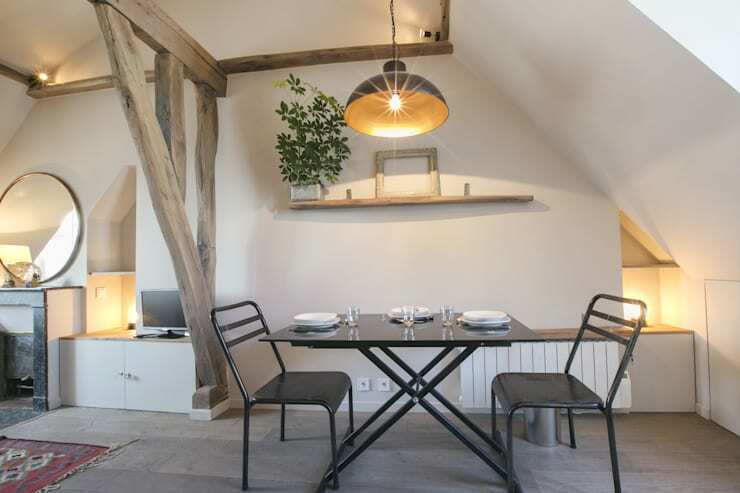 The designers have also gone for neutral tones, ensuring that they don't overwhelm the space. 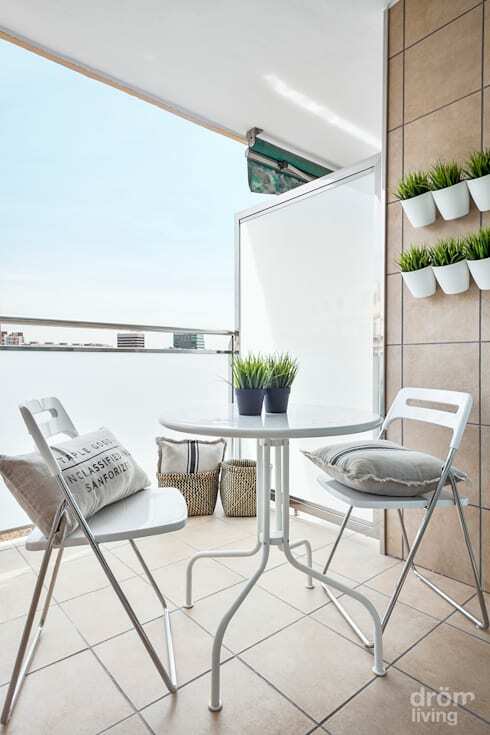 When it comes to the small terrace, a lot of attention has been paid to the details of the design. Copy the pots with the little plants in it or create a cheerful vertical garden in a small space. Although small, the bedroom contains everything that you need including a full-length mirror that creates the perfecption of space throughout. Which home is your favourite?